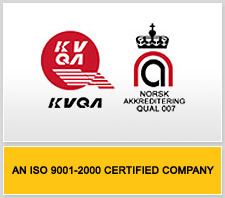 Asha Rubber Industries an ISO 9001:2000 Certifed Company, established in 1978 under the guidance of highly motivated and educated team. Under vast and rich experience, dynamic leadership and with stringent quality controls we have earned distinguished reputation in India as well as abroad. After achieving great success in domestic market, we started export business in the other major countires like USA, Australia, Canada, South Africa, etc. Asha Rubber is a well known brand in the Indian tires industry because of high quality product which meets international standards. Our products include tires for Tractor, Irrigation, OTR / Grader, Implement, MPT, Passenger Car, Fork lift / Industrial, Skidsteer, LCV'S. With strict input screening of raw material through highly technical staff and multi level quality control on finished products. We ensure that our customers in India and abroad get quality product with optimum convergence of experience and precision.